When should I go to Florence? What is there to see and do in Florence? 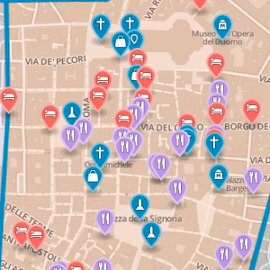 Where can I stay in Florence? How long/how many days should I spend in Florence? Should I book sightseeing/admission tickets ahead of time? How do I get to Florence? How do I get around Florence? Where can I get more information on Florence? How long does Florence take? Planning your day: Florence would well be worth a week, but you can still fit a lot into just a day or three. To help you get the most out of your limited time in the Cradle of the Renaissance, here are some perfect itineraries, whether you have one, two, or three days to spend in Florence.